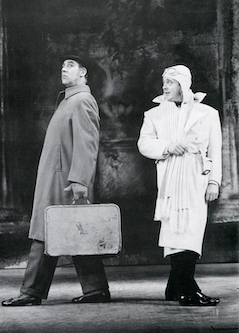 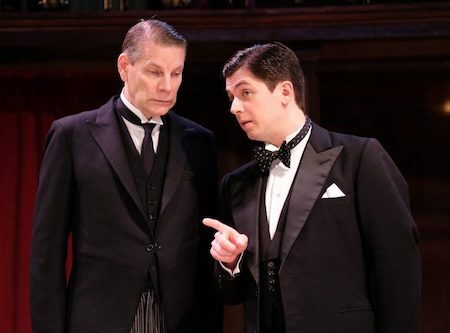 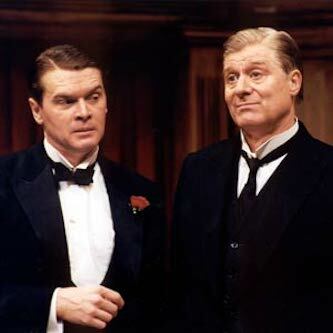 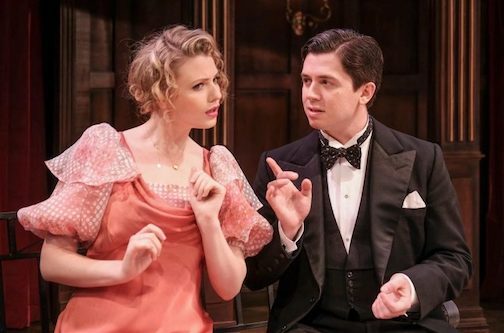 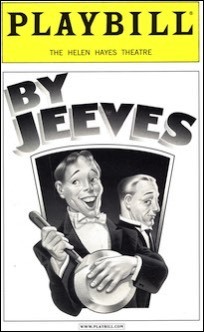 A collection of archive material, posters, rehearsal and production images pertaining to Alan Ayckbourn and Andrew Lloyd Webber's Jeeves & By Jeeves. 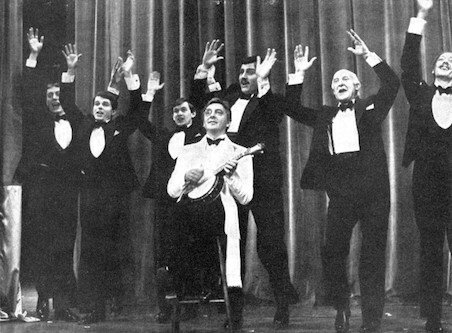 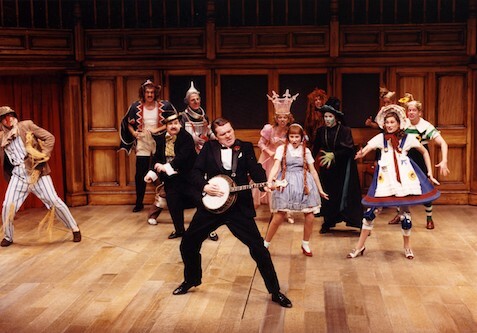 Banjo Boy for the musical Jeeves. 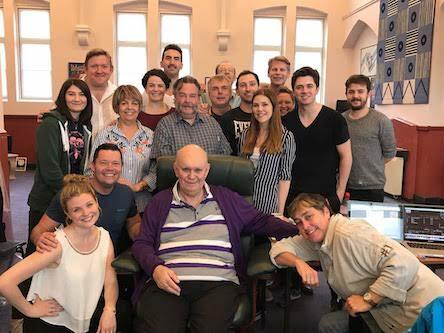 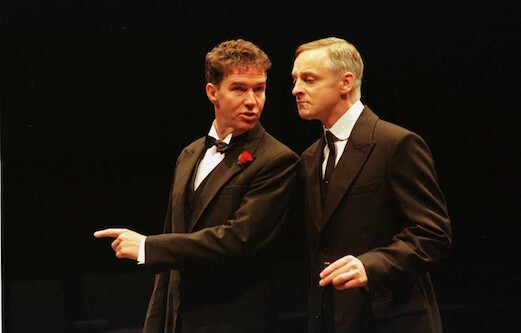 Andrew Lloyd Webber, Alan Ayckbourn and P.G. 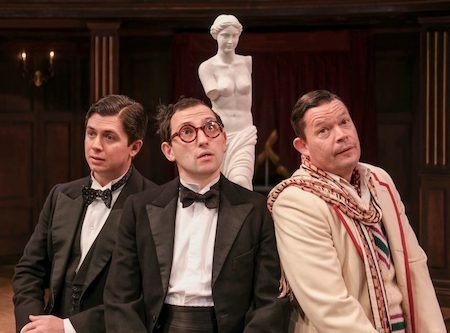 Wodehouse at the author's house in New York. 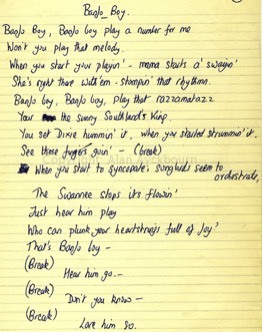 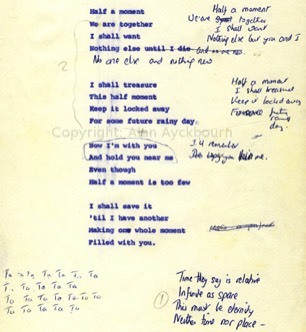 most famous song, Half A Moment. 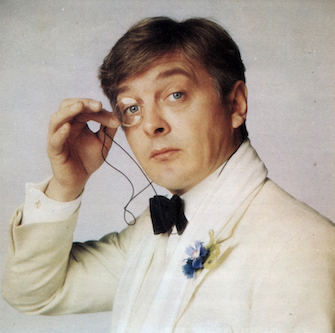 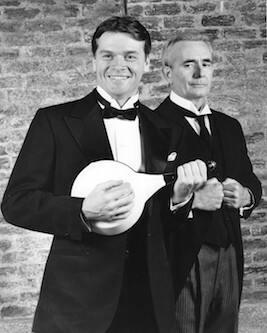 in a publicity shot for the announcement of Jeeves. 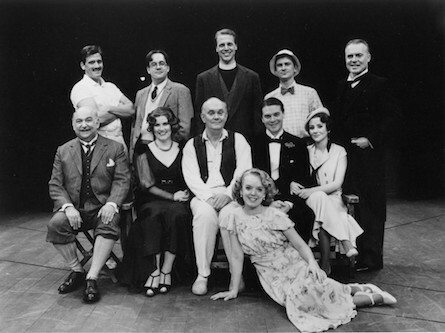 Bristol Hippodrome before Betty Marsden was fired as Aunt Dahlia. 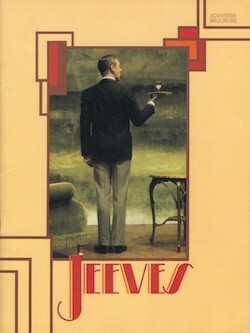 for Jeeves following Betty Marsden leaving the show. 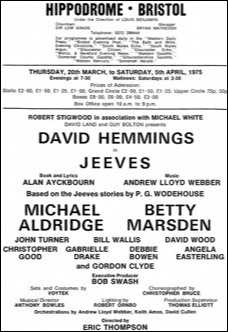 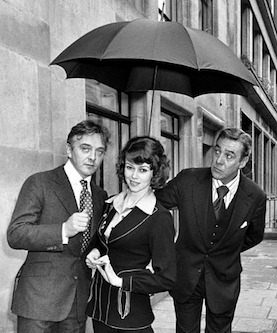 West End premiere at Her Majesty's Theatre in 1975.
in the West End premiere of Jeeves in 1975.
of Jeeves at Her Majesty's Theatre in 1975.
in 1981; the only time Jeeves has been presented since 1975. 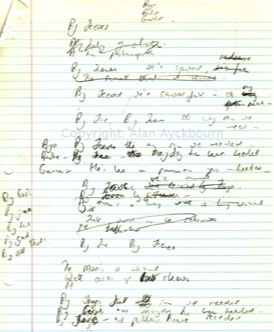 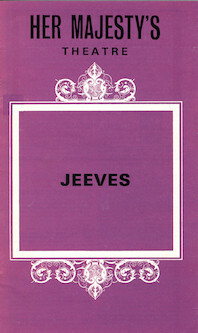 'By Jeeves’ for his revised version of the musical. 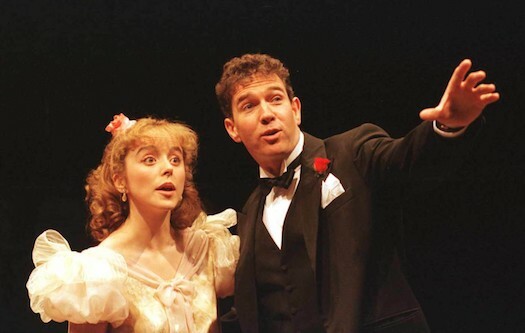 at the Stephen Joseph Theatre, Scarborough, in 1996.
as Jeeves in the world premiere of By Jeeves in 1996.
in the world premiere of By Jeeves in 1996.
in the world premiere iof By Jeeves in 1996.
at the Norma Terris Theatre, Chester, Connecticut, 1996.
in the North American premiere in 1996.
at the Pittsburgh Public Theatre in 2001.
at the Helen Hayes Theatre, new York, in 2001. 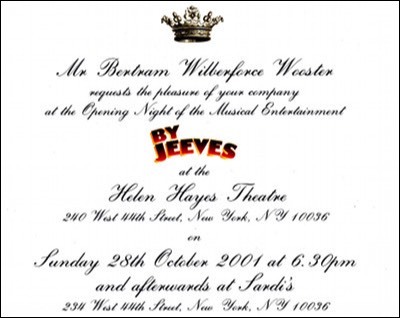 By Jeeves and the post-show party in 2001.
in the Broadway premiere of By Jeeves in 2001. 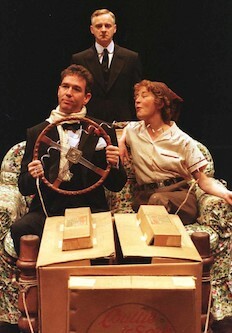 Broadway premiere of By Jeeves in 2001.
staged at the Landor Theatre, London, in 2011.
of By Jeeves in 2011.
at the Old Laundry Theatre, Bowness-on-Windermere. 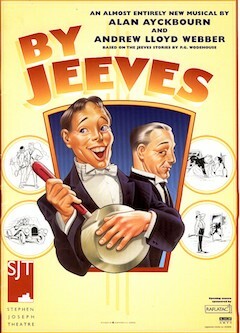 revival of By Jeeves during rehearsals. 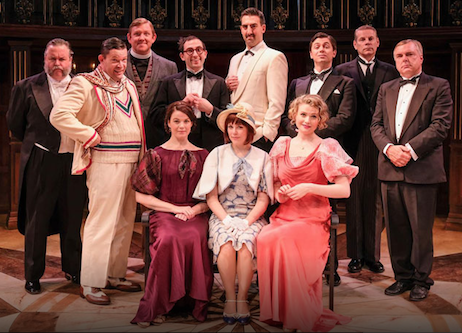 publicity shot for Alan Ayckbourn's 2017 revival of By Jeeves. 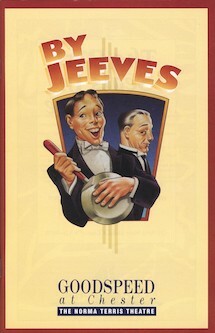 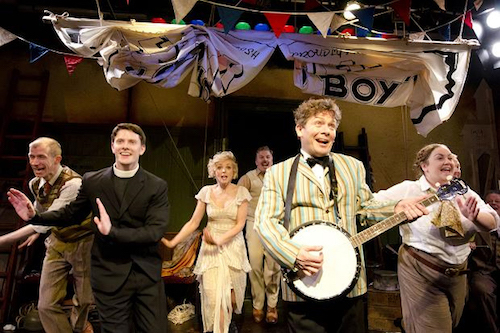 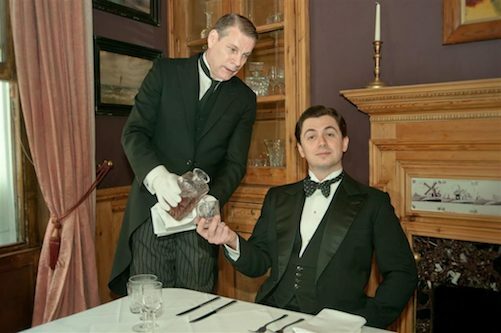 revival of By Jeeves at the Old Laundry Theatre, Bowness-in-Windermere. 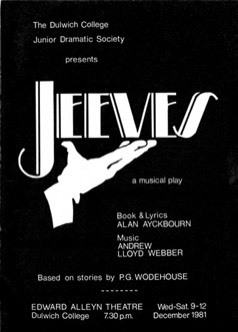 By Jeeves at the Old Laundry Theatre, Bowness-in-Windermere. 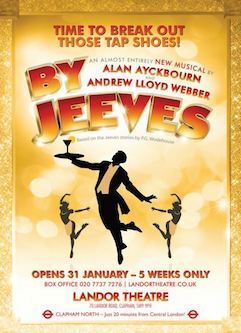 in Alan Ayckbourn's 2017 revival of By Jeeves. 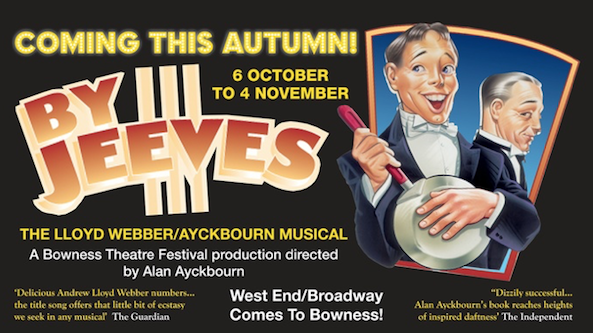 Nigel Richards as Bingo in Alan Ayckbourn's 2017 revival of By Jeeves.